Most glaciers in The Alps could be wiped out within 80 years – devastating the skiing industry, warns a new study. Researchers forecast that more than 90 per cent of glacier volume in the Alps could be lost by the year 2100 due to global warming. 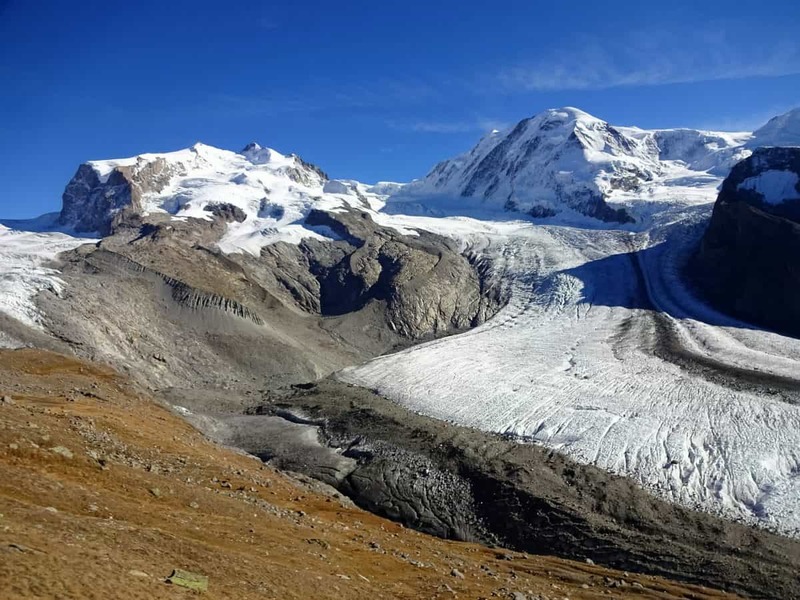 The study, by a team of scientists in Switzerland, provides the most up-to-date and detailed estimates of the future of all glaciers in the Alps, around 4,000. It projects large changes to occur in the coming decades: from 2017 to 2050, about 50 per cent of glacier volume will disappear, largely independently of how much we cut our greenhouse gas emissions. After 2050, “the future evolution of glaciers will strongly depend on how the climate will evolve,” according to study leader Dr Harry Zekollari. He said glacier retreat would have a large impact on the Alps since glaciers are an important part of the region’s ecosystem, landscape and economy. They attract tourists to the mountain ranges and act as natural fresh water reservoirs. Glaciers also provide a source of water for wildlife and vegetation, as well as for agriculture and hydroelectricity, which is especially important in warm and dry periods. To find out how Alpine glaciers would manage in a warming world, Dr Zekollari and his colleagues used new computer models – combining ice flow and melt processes – and observational data to study how each of the ice bodies would change in the future for different emission scenarios. They used 2017 as their ‘present day’ reference, a year when Alpine glaciers had a total volume of about 100 cubic kilometres. Under a scenario implying limited warming, called RCP2.6, emissions of greenhouse gases would peak in the next few years and then decline rapidly, keeping the level of added warming at the end of the century below 2°C since pre-industrial levels. In that case, Alpine glaciers would be reduced to about 37 cubic kilometres by 2100, just over a third of their present-day volume. Under the high-emissions scenario, corresponding to RCP8.5, emissions would continue to rise rapidly over the next few decades. Global emissions are currently just above what is projected by thar scenario. The Alps would lose about 50 per cent of their present glacier volume by 2050 in all scenarios. A reason why volume loss is mostly independent of emissions until 2050 is that increases in mean global temperature with increasing greenhouse gases only become more pronounced in the second half of the century. Another reason is that glaciers at present have ‘too much’ ice: their volume, especially at lower elevations, still reflects the colder climate of the past because glaciers are slow at responding to changing climate conditions. Even if we manage to stop the climate from warming any further, keeping it at the level of the past 10 years, glaciers would still lose about 40 per cent of their present-day volume by 2050 because of this “glacier response time,” says Dr Zekollari. Senior co-author Dr Daniel Farinotti, also of ETH Zurich, added: “Glaciers in the European Alps and their recent evolution are some of the clearest indicators of the ongoing changes in climate. The findings were published in the journal The Cryosphere.